Styled with brantly tank . 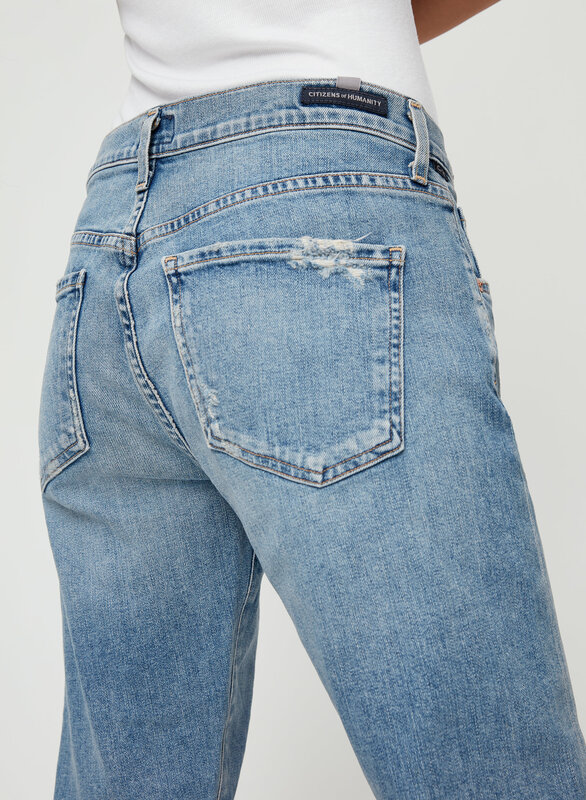 The Emerson is a low-rise jean with a slim leg. 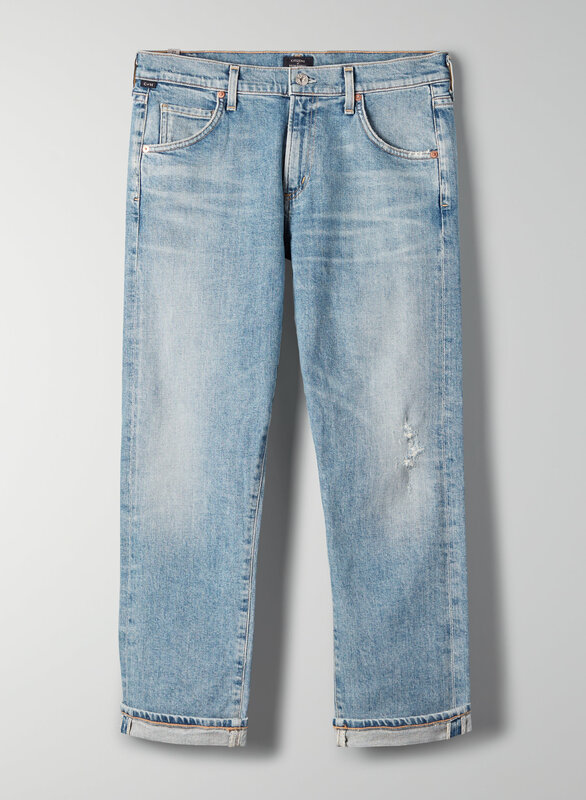 It's cut from comfort stretch denim for an authentic look and effortless feel. 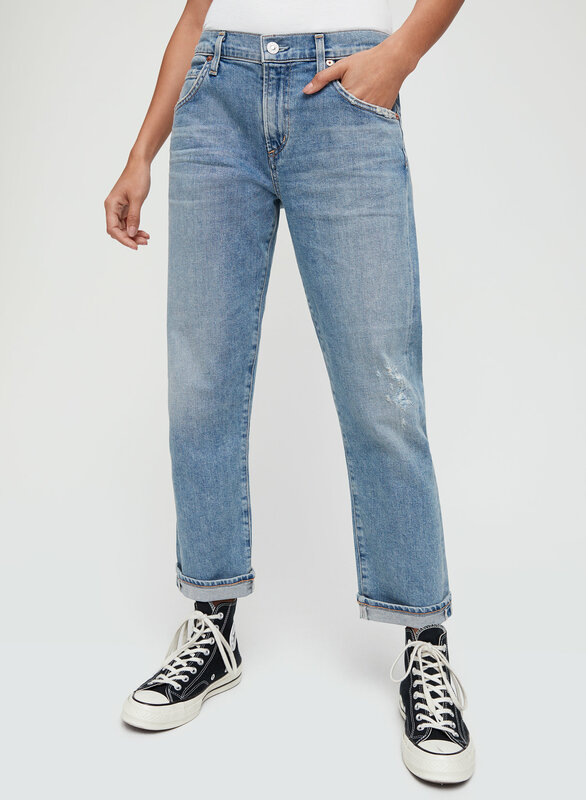 The Marina wash is a blue denim with fading throughout.